Revenue and Public Relations Minister of Punjab Bikram Singh Majithia today announced that the “interest free loans” scheme for farmers and students would be implemented in a month as the Punjab Government have already approved this people friendly move.Today after distributing the grants of Rs. 83 lakh for development works Mr. Majithia said that the Punjab Government has decided to provide interest free loan to students upto Rs. 5 lakh which would be repaid by them in installments after completing their education. The beneficiary students for that scheme would be selected from the blue card holder families which would facilitate the students especially from rural areas besides facilitating the parents for higher studies of their wards.In another major move to bail out the farming community from crisis, the Punjab Government would provide interest free crop loan of Rs. 50 thousand on each crop to give an easy hand to farmers for crop production. The loan would be available for twice in a year as per the crop pattern in the state. 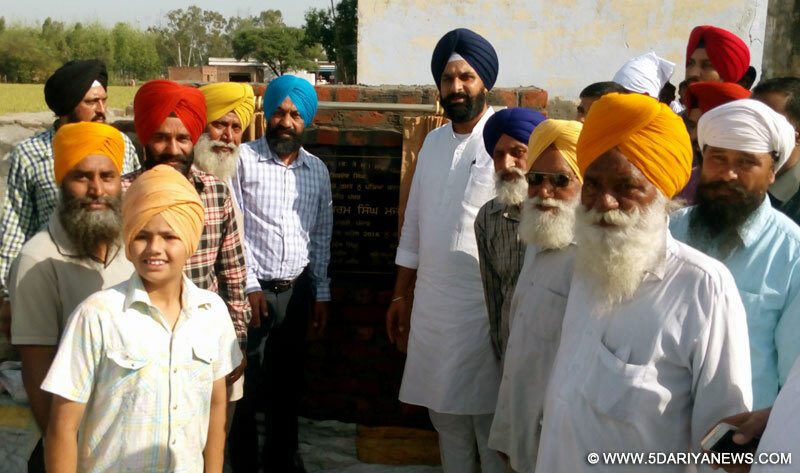 The other major feature of the scheme includes the easy return of loan in installments after the procurement of crops as per the season.Calling the people to come forward to avail the benefits from Punjab Governments pro people schemes like free registration of property in blood relations, atta dal, Bhagat Puran Singh Sehat Bima Yojna, Mr. Majithia said that people should use their voting right by keeping in view the performance of SAD-BJP combine.Earlier Mr. Majithia has distributed sewing machines in Jaithunangal village to 30 women. Mr. Majithia has also included many congress leaders into SAD fold from village Dadupura, whom were honoured by Mr. Majithia.Prominent amongst present on the occasion included Talvir Singh, Major Chivvi, Jodh Singh Samra etc.